On 04.07.2018, in the presence of the marshal of west pomeranian voivodeship, Mr. Olgierd Geblewicz, deputy major of Szczecin, Mr. Michał Przepiera, representative of ARP, Mr. Andrzej Karabon, dean parish priest, Mr. Kazimierz Antoni Piasecki and many other invited guests, a ceremony of signing Fundamenta Actum and setting of foundation stone for construction of new seat of company Uni-Mebel took place. The seat will be located in Szczecin Trzebusz, in the special economic zone Euro-Park Mielec. 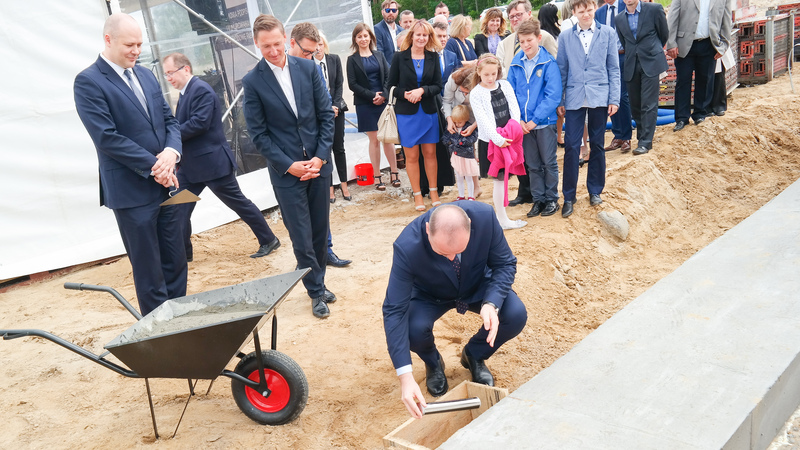 Chairman of Uni-Mebel, Mr. Tadeusz Cichoń, has thanked to the city of Szczecin and to the authorities of voivodeship for creating conditions, which enable this construction. He emphasized, that Uni-Mebel blaze a trail due to the fact, we are the first company in this localization. Marshal, Mr. Olgierd Geblewicz, congratulated to the management board of Uni-Mebel the decision of starting a new investition and expressed his satisfaction, that not only foreign companies are interested in ivestitions, but also domestic firms from Szczecin. Deputy major of Szczecin, Mr. Michał Przepiera, stressed, Uni-Mebel has friends in the city, who declared their help in execution of investition. Dean parish priest, Mr. Kazimierz Antoni Piasecki, consecrated new building site. After consecration, the Marshal, Deputy major and the owners of Uni-Mebel have signed Fundamenta Actum and placed it in memorial tube. The tube has been set on the site. Every of participants could take part in the ceremony. 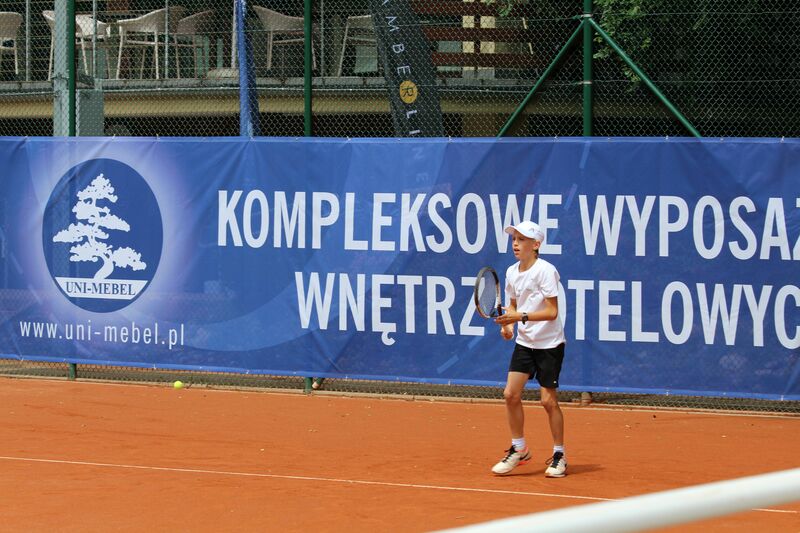 End of June/beginnig of July, on the courts of Kołobrzeg, took place Tennis Cup Poland for girls and boys under 12. This competition entered 116 children. This is the first time, when Uni-Mebel became an official partner of Poland Cup. We hope, that thanks to it, within next years we will be able to admire the wrestles of successors of Radwańska, Matkowski or Kubot.